Paul McCartney produced a session for Mary Hopkin on this day at Morgan Studios in London. 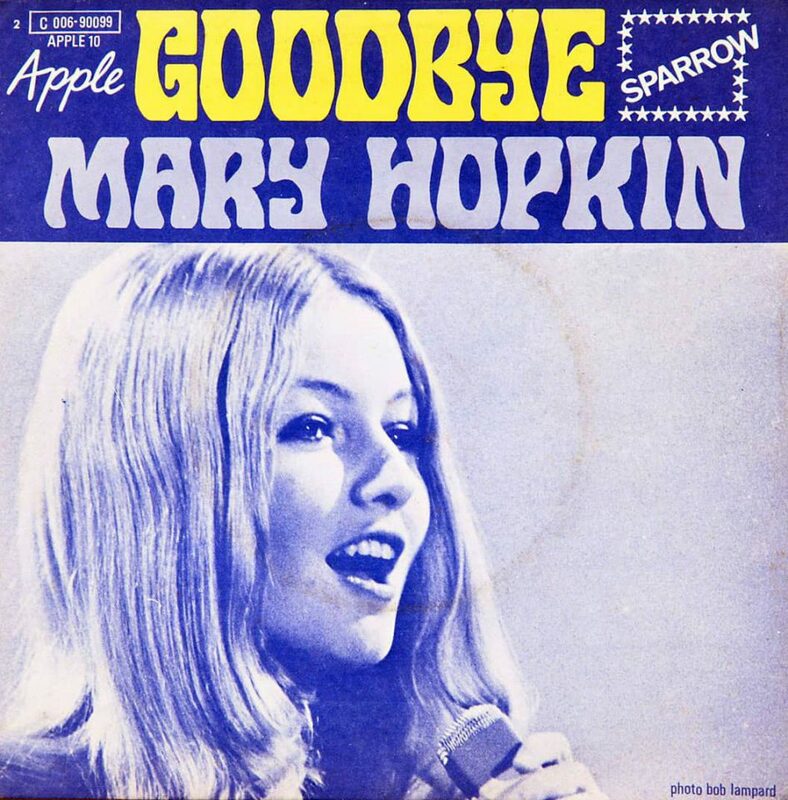 Two songs were worked on: Goodbye, the follow-up single to Hopkin's debut Those Were The Days, and the b-side Sparrow. Goodbye was written by McCartney. He had recorded a solo demo at his home, 7 Cavendish Road, London, in February 1969. Hopkin's recording raised the key from C to E.
He did demo Goodbye for me, which he wrote and then produced. And when we recorded it we played the guitar part together, plus Paul added a thigh slap all through the song and played ukulele. On Goodbye Hopkin sang and performed acoustic guitar, while McCartney played bass guitar, an acoustic guitar introduction and solo, thigh-slapping percussion, ukulele and drums. Backing vocals, horns and strings, arranged by Richard Hewson, were also added. The b-side, Sparrow, was written by Benny Gallagher and Graham Lyle, a songwriting duo signed to Apple Publishing who found fame as Gallagher And Lyle in the 1970s. Hopkin sang and played guitar, McCartney added maracas, a session musician played upright bass, and Hewson arranged a choir part. Although I'm flattered that Paul wrote Goodbye especially for me, it was, I believe, a step in the wrong direction for me. I'm so grateful that he chose Those Were The Days as my first single. I think Those Were The Days, being originally a Ukrainian folk song, has a timeless quality, but Goodbye is set firmly in the sixties pop era. The session was filmed by Apple's Tony Bramwell for a promotional clip. In the footage, Hopkin is seen miming to the song inside the studio, and there are shots of her and McCartney in the control room listening to a playback. This was the first of two sessions for the songs; the second was on the following day, 2 March 1969. Morgan Studios was situated at 169-171 High Road in Willesden Green, London.